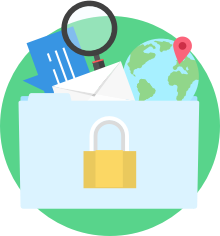 A VPN encrypts and secures your mobile device's Internet connection, preventing the government, hackers and third-party snoops from viewing your online activity, personal communications and data. With VyprVPN, the best mobile VPN, you are able to connect to any of our 70+ server locations worldwide and keep your IP address, location and Internet traffic private. VyprVPN allows you to access your favorite social media sites and other websites from anywhere in the world with the best, easy-to-use mobile VPN app. 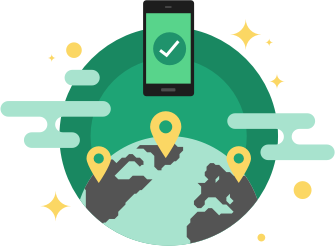 Golden Frog's global VPN servers restore your freedom and help you bypass location-based IP blocking imposed by restrictive governments. 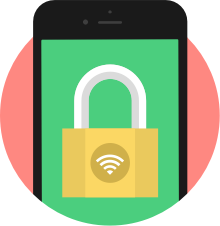 By using a mobile VPN, you can quickly share your memorable moments with your friends and family on Facebook, Twitter and Instagram. When you access the Internet on your mobile device, you may do so on public, unsecured Wi-Fi hotspots and networks. Using unsecured Wi-Fi networks puts you at risk of exposing personal information to third parties or snoops. VyprVPN, the best mobile VPN app, encrypts your Internet connection and keeps your data private when using your mobile device in any location.